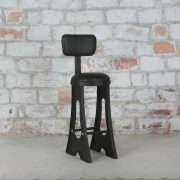 It is very high quality stool with Genuine Goat leather seat with thickness of 8 cm thick and 36 Density form . 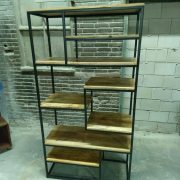 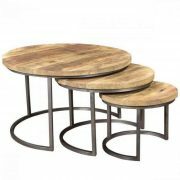 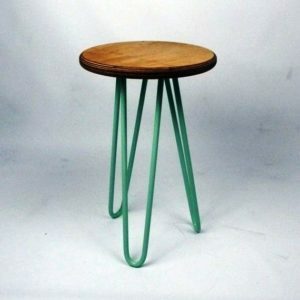 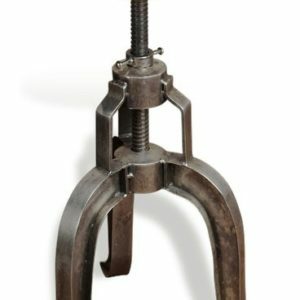 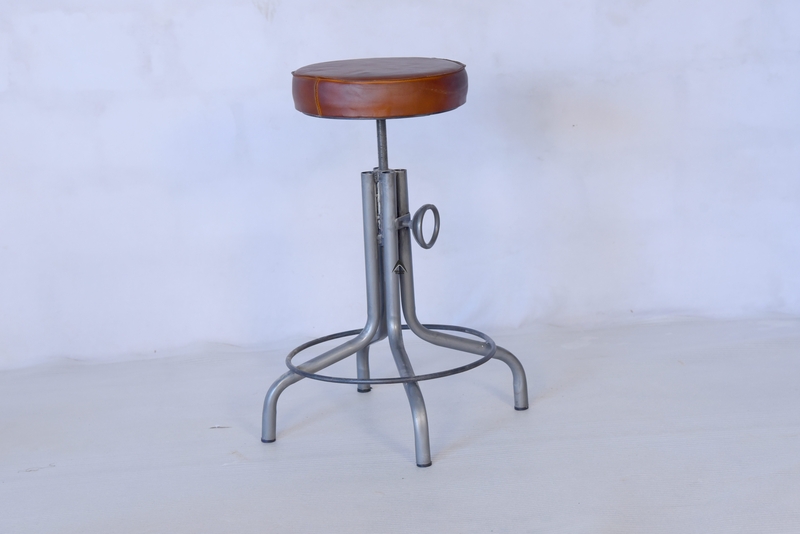 Base is in Iron Tubes with natural finishing but we can customize products bar stool as per our customer requirements . 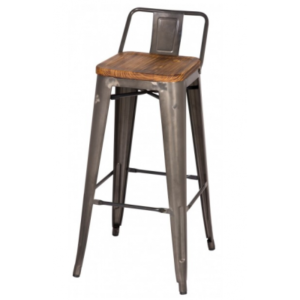 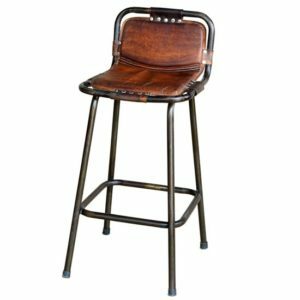 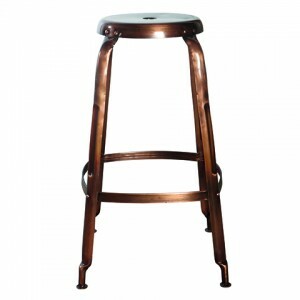 This Industrial Bar Stool is best use at Kitchen Counter , Bar counter , Restaurant furniture & Bar furniture , Home Dining Room Furniture . 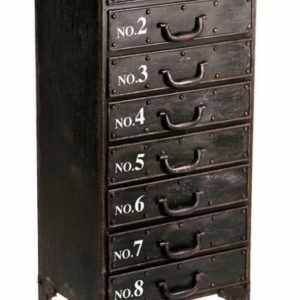 Industrial Furniture is high demanding in current time in all around the world , Since old days to new days in this modern world we still believe in old and vintage looks furniture because furniture is always plays and important role in our life its every part of our daily routine life from home to work morning to evening we go cross thru all kind of furniture like wooden, industrial and leather furniture but in now days Industrial furniture is high demand and best selling and use by many people and big company which always deal in wooden furniture also join and add industrial range in there showrooms and company profile . 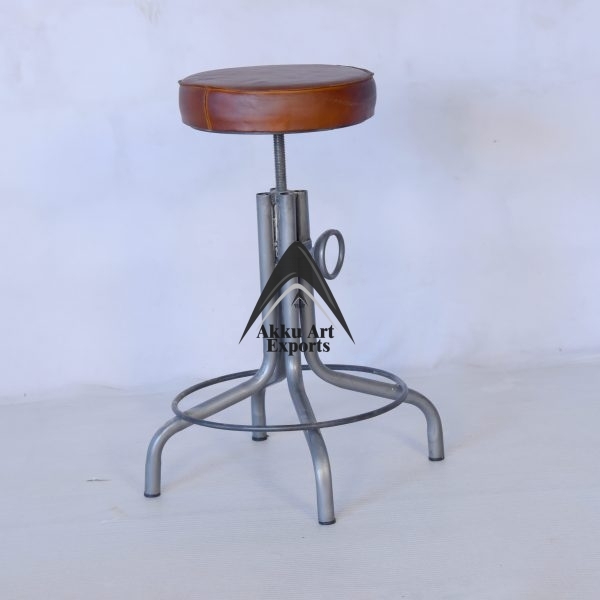 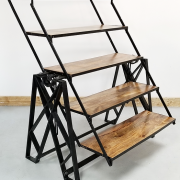 Akku Art Proudly Present you vintage industrial counter stool with height adjustable from dining to bar or counter . 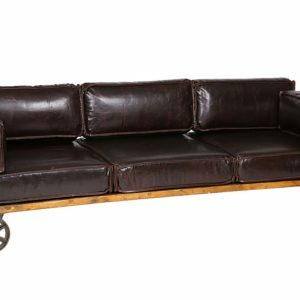 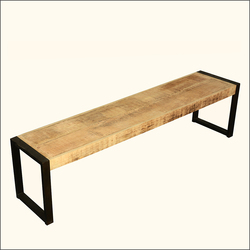 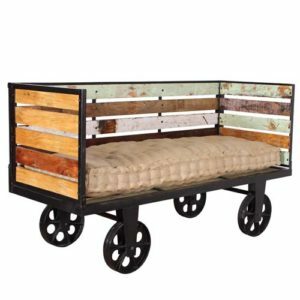 its is 100 % Handmade Furniture made in India by our experience craftsmen team with all aspect standard of export quality , our Team and we believe and say to our customers that and we follow this rule to give high quality products because we are business people we don’t want to work only one time we want long terms of business .